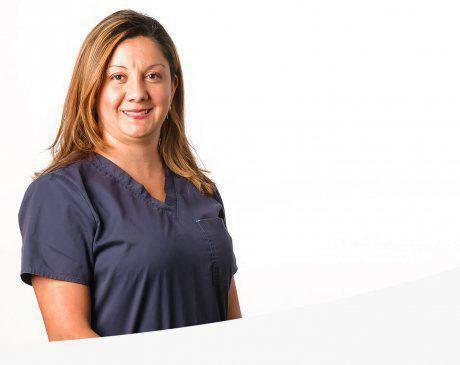 With more than 12 years working with orthopedic patients, Angela Cardenas, DPT, provides some of the latest and most advanced rehabilitative solutions at Peak Medical in Berkeley Heights, New Jersey. After earning her bachelor’s degree in physical therapy from Ibero-American Corporation University in Columbia, Dr. Cardenas relocated to the United States. She went on to earn a doctorate in physical therapy from Utica College in Utica, New York. Not only is Dr. Cardenas a member of the American Physical Therapy Association, she also continues taking courses to further her training. She specializes in manual therapy techniques, taping strategies, and dynamic stretching, to name a few. Dr. Cardenas collaborates with the team at Peak Medical to ensure each patient receives an effective, customized treatment plan. As an integral part of the physical therapy team, Dr. Cardenas’ goal is to ensure that each patient can return to their normal activities. She is fluent in English and Spanish. When she’s away from the clinic, Dr. Cardenas enjoys spending time with her family. She likes to travel whenever time allows and is an avid reader.